Stacie and I had the pleasure of meeting Big Al this past weekend at the Plano Outlaw Eggfest. Although he claimed he did not own a Big Green Egg, he and his wife were cooking up a storm and putting out some pretty tasty food. Big Al is a quite a character, a very funny guy indeed. And even though he does come from that maroon school that will soon be leaving the Big 12, we won’t hold it against him, although he did give my wife quite a bit of grief for her burnt orange shirt…..but I digress. Where was I? Oh yeah, Big Al….great guy who I would love to sit down and have a cold beer with while tending a barbecue pit. I’m sure he has tons of great stories. At the Eggfest, he had plenty of rubs for sale, along with some spices and some hot sauces. Two of them caught my eye, the Mesquite Flavor and the Hell From Texas (of course those two did, I’m from Texas after all). Big Al explained to us his philosophy of rubs and let us know that his rubs were all natural, contained no preservatives and had no sugar or MSGs. That immediately caught my attention as a lot of rubs will add those last two as filler and some will be composed mostly of those. So it sounded like these would be a good quality, high flavor packing rub. I told myself, “Self, you should get some of these rubs before you leave and try them out.” And that is exactly what I did. “I just want to thank you for buying my products; I put a lot of love in every bottle. 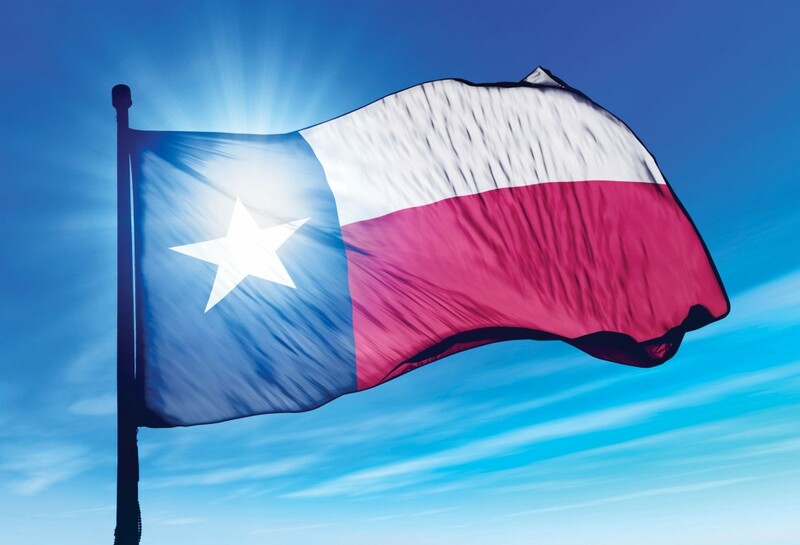 All my products are made with Texas pride and my passion to create the very best rubs and sauces for you. I blend my rubs with all-natural ingredients, no MSG or preservatives so you’re not eating anything you can’t pronounce! As a certified BBQ snob with 35 years of experience, my expertise in these matters are unmatched. I hope you enjoy my products! One last thing before we get started (I know, I’m taking forever, aren’t I?) I just want to let you know that I do not work for Big Al, I am not getting paid for this by Big Al, I was not handed a large sum of money in a back alley for this review (or even a small sum), I am in no way affiliated with him or his product. In fact, outside of hearing about his product before Saturday, I have never met the man in my life. Ok, that’s the end of my disclaimer., now on to the review. Yesterday afternoon, I was rooting around in the freezer, trying to figure out what I could throw on the Egg for dinner as she was feeling a bit n-egg-lected after being ignored all weekend. I came across a package of drumsticks and decided that sounded pretty good and it would be a great way to try out some of my new rubs that I got from Big Al. 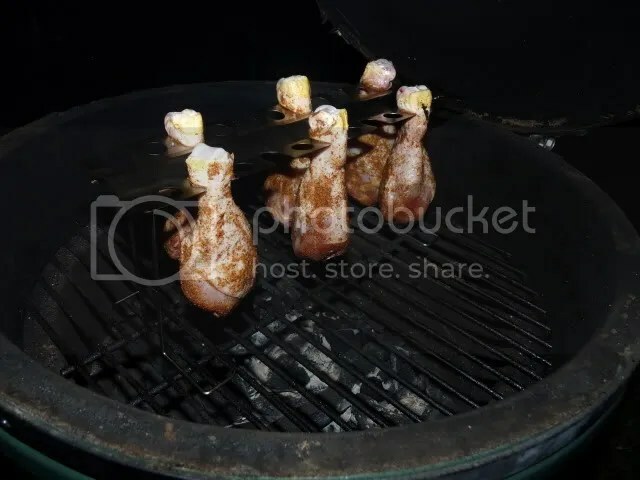 After the wifey got home, I fired up the BGE to 400 F so that we could grill up them legs. I decided to use some Ozark Oak Hardwood Lump Charcoal as it doesn’t seem to be as heavy a smoke flavor as my normal mesquite lump and I really wanted to taste the flavor of the rubs by themselves without any extra smokey flavor. 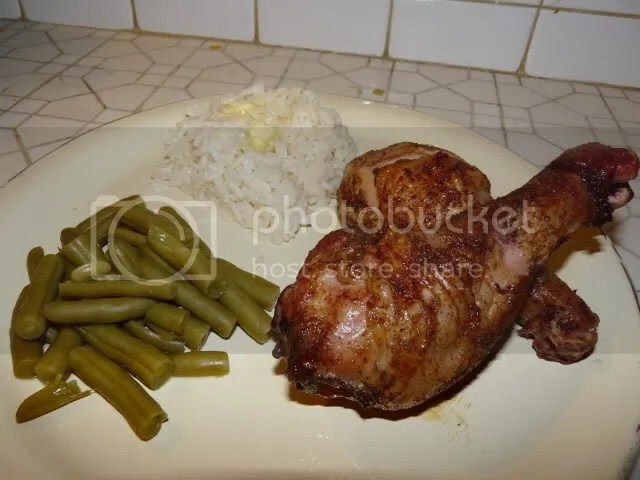 The package of the legs I found contained six legs, so three of them got rubbed down with the Mesquite Flavor and three got the Hell From Texas. Then on to the Egg they went in my hanging chicken rack that you might remember from an earlier post. Now we just need to whip up some sides real quick to round out the meal. 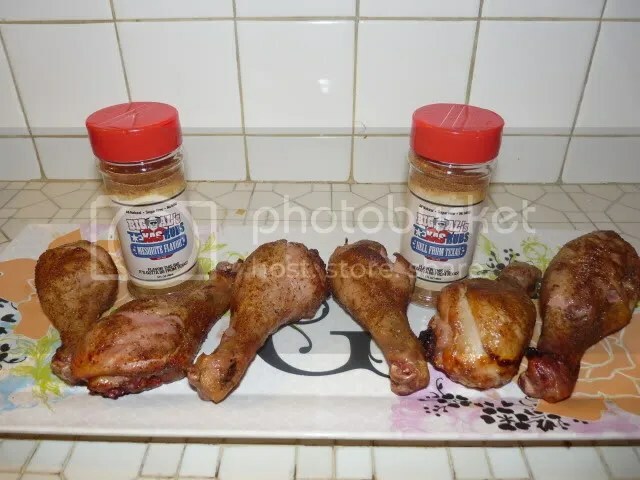 Stacie and I each took 2 legs that had the two different seasonings so we could get a taste of both and here is what we thought. Stacie – Nice mesquite flavor. Not too overpowering. It was delicious. Me- Had a hint of mesquite flavoring, but not overbearing. Would be great for a cook on a gas grill or an oven where you just can’t get that mesquite flavor from burning chips or chunks of mesquite. I would like to use it again with some mesquite wood to see how it turns out. Stacie – Fantastic kick, but not overpowering. Full of flavor. Me- Loved it. Had a nice heat to it without being too powerful. Got a little burn on the lips and developed a nice heat in the back of my throat. Looking forward to using this rub more to get a better idea of the flavor. My only complaint….I didn’t cook enough chicken. I still wanted more after I was done. 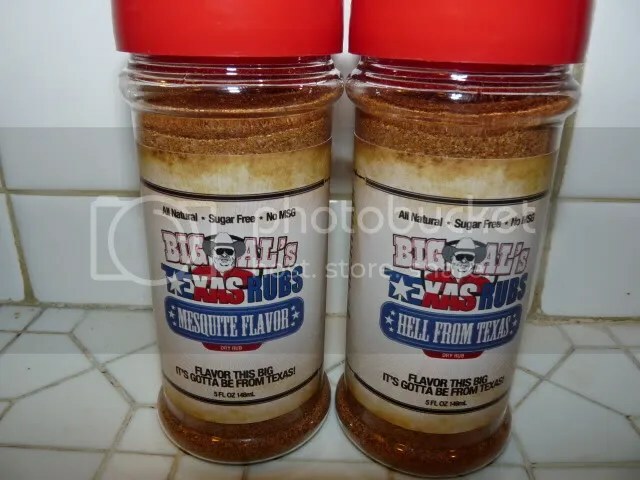 Big Al make a fantastic rub. It just might replace my old stand by go to rub. I would recommend it to anybody that likes bbq and is looking for a new rub to try. In fact, I can’t wait to get my hands on some of his Original Flavor and his South of Hell Hot Sauce….maybe the Chili Mix as well. Go out and get you some and let me know what you think.